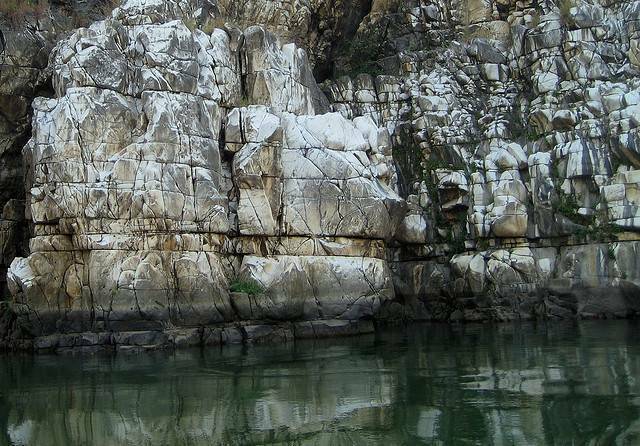 Bhedaghat, on the banks of Narmada is surrounded by marble rocks, which are carved by the flow of the water. This beautiful 3 KMs long gorge is a popular tourist destination. Tourists enjoy boat rides in the calm river here and can see the stunning views of the Dhuandhar Falls from there. The boat ride would be about an hour long but it is worth spending your time here. The white marbles here are very rich in magnesium and as soft as soap stone. Do pick up souvenirs from nearby shops that sell carved marble artifacts.